As of now the upcoming Assassin’s Creed III holds the record among Ubisoft-published games for attracting the most pre-orders. You’d think that an imminent blockbuster title accomplishing a feat like this would drive Ubisoft to plaster its record-setting pre-order figures anywhere it can find a proper outlet for the news, but the PR blast announcing this milestone is surprisingly devoid of solid numbers. While Ubisoft repeatedly points out that Assassin’s Creed III currently has over twice as many pre-orders as its predecessor Assassin’s Creed Revelations, we’re never told exactly how many pre-orders that might be. As if searching for something to replace the bizarrely missing pre-order figures, the rest of the announcement helpfully reminds prospective players that there is still time to pre-order the game as well as its $30 Season Pass (which will allow players to pre-purchase a wide swath of DLC additions for the title at a 25-percent discount) prior to the title’s official launch on October 30. While Ubisoft directly quotes GameStop president Tony Bartel in its press release — call it cross-brand synergy, if you’d like — those of you suddenly interested in pre-ordering Assassin’s Creed III can visit almost any gaming retailer to register your official interest in this title. 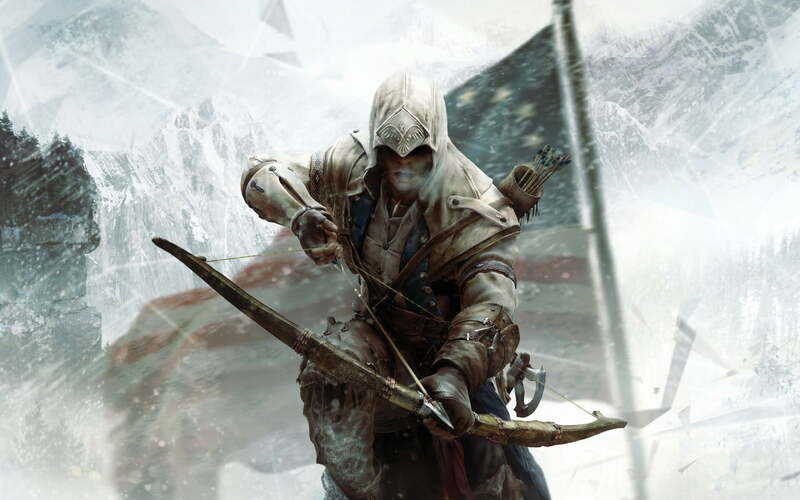 If you’re still on the fence though, we have a number of things you should probably see in anticipation of Assassin’s Creed III. Things like this trailer, this examination of the game’s upcoming alternate history DLC and this interview with the game’s writer on how he approached writing a story that is equal parts conspiracy fiction and a fanciful retelling of the events surrounding the Revolutionary War. It’s all great stuff, and whether it convinces you to buy the game or not, at least now you’ll be able to respond thoughtfully when your best pal mentions that time that he jumped out of a tree to stab a British loyalist in the throat.